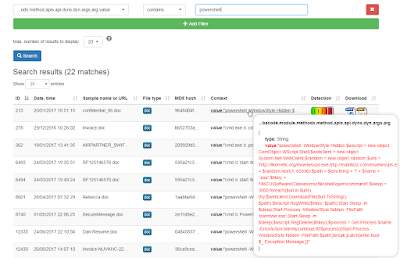 What if you want to search for more detailed, deeper and low-level information? 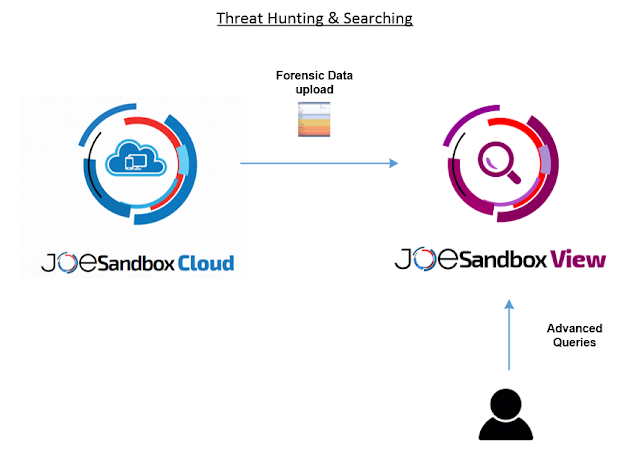 Well, you reach a dead end, but fortunately, there is a solution now - Joe Sandbox View. 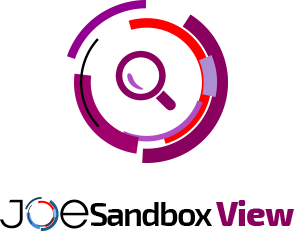 Joe Sandbox View is a search engine based on Elasticsearch, that is fed by Joe Sandbox Cloud Pro (customers can opt-in to share their analyses) as well as Joe Sandbox Cloud Basic. The average amount of data added per report is 20 MB. PE, APK, MACHO, IPA, DOCX, OLE, etc. Spreading, evasions, phishing, exploiting, Trojan activities, spyware activities, banking, spamming, etc. The information is rich and enables users to do very advanced searches. The above list is just for analysis on Windows. 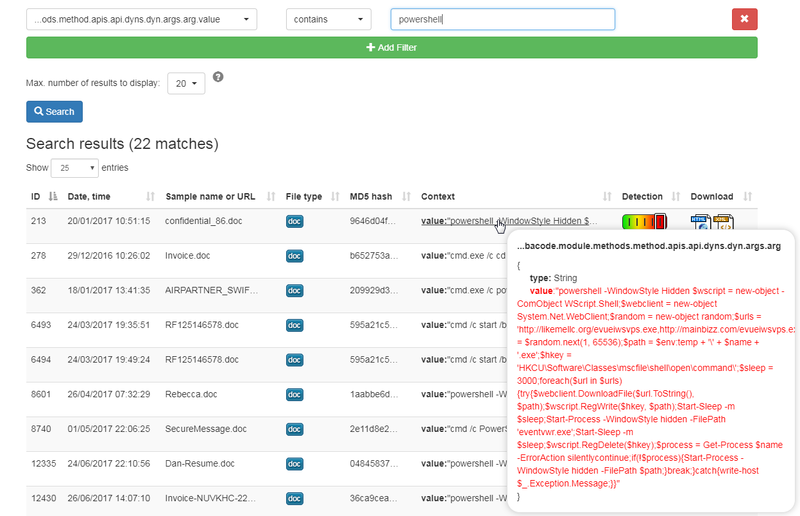 However, also data from Android APK analysis and Apple Mach-O analysis are fed into Joe Sandbox View. 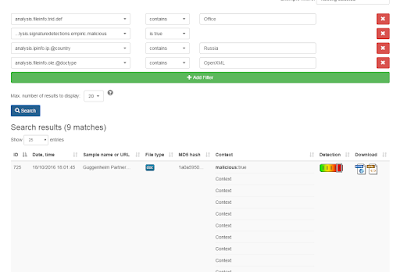 The operators vary on the search field type, as an example, for numbers, operators such as =, >, < are available. 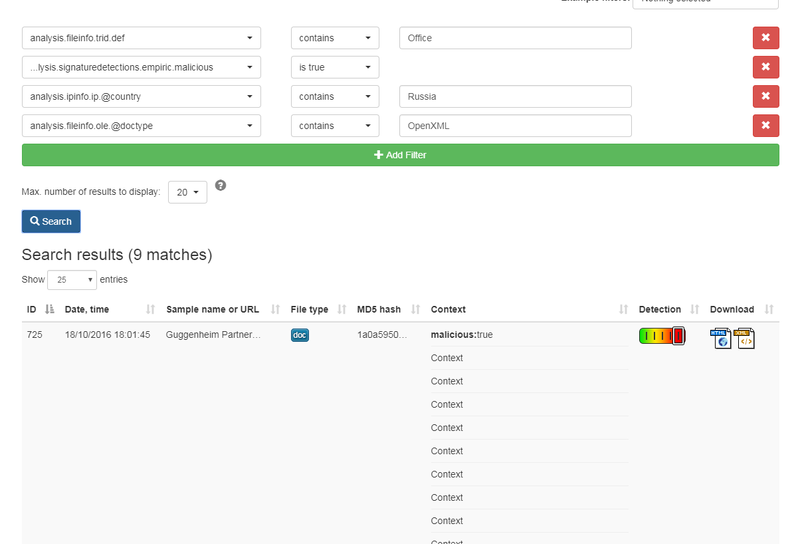 What if you want to search for contextual data? For example, let's assume you want to search for all samples where there is a process called "explorer.exe" which created an EXE file in the temp directory. Another very interesting feature is that Joe Sandbox View also provides context information for each search so that you can see e.g. 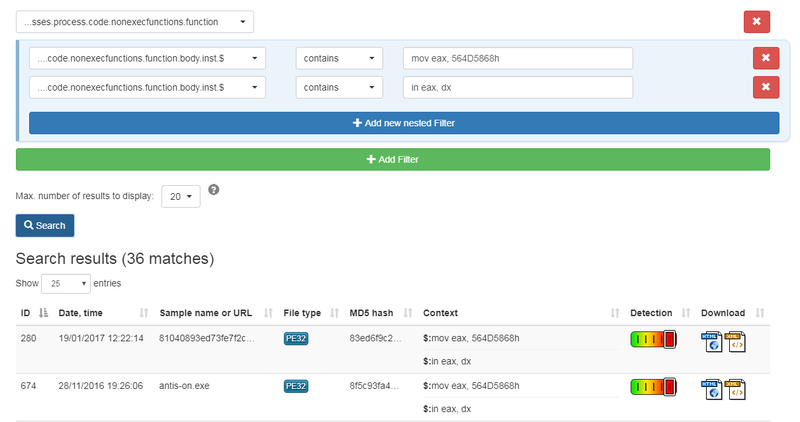 what the MD5 hash of the created file is. 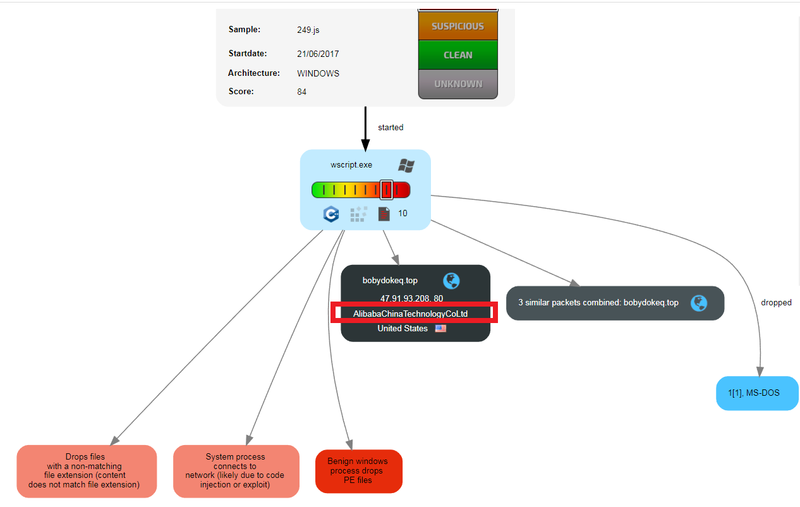 To view or download the full analysis report, just click on the icons on the right. As the examples show the number of searches & combinations is unlimited. With Joe Sandbox View we make the massive amount of behavior captured by Joe Sandbox searchable. 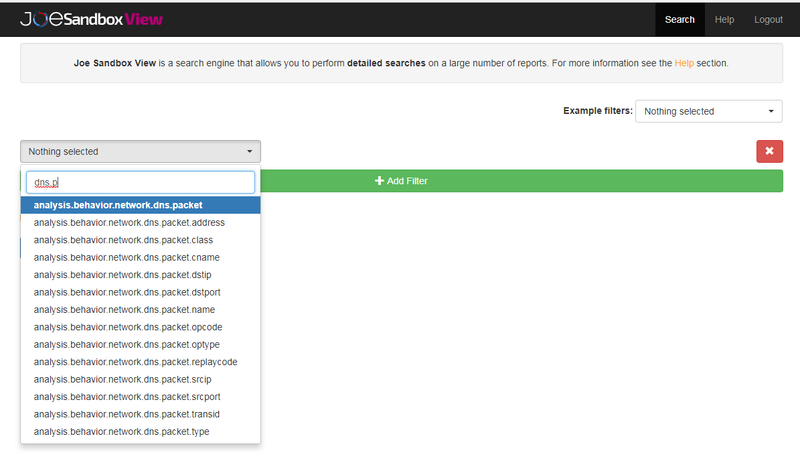 Searching is easy since the interface is simple and intuitive. 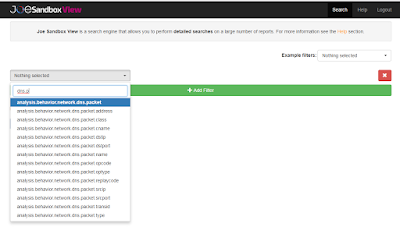 Very advanced searches are possible for over 1,500 different values/fields. 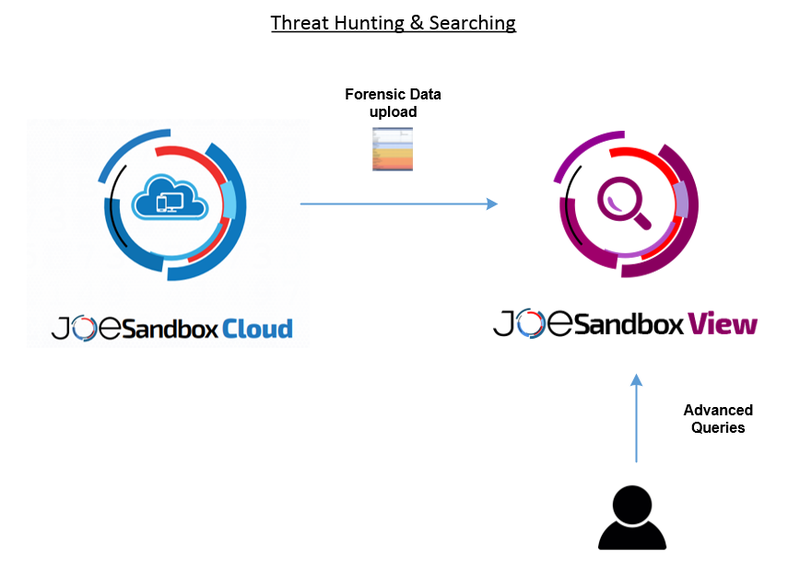 Via the API Joe Sandbox directly benefits from the threat intelligence data of View. 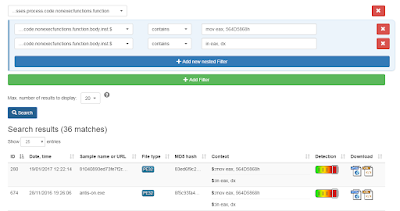 Joe Sandbox View is available in Joe Sandbox Cloud Pro since January 2017.